Gary Langford is a teacher writer in Australia and New Zealand, and has been so since he was a Christchurch boy who told stories as his homework. Apart from his many books he has had more than two hundred and fifty productions of his stage plays and drama sketches (the latter occasionally directed by him with his students), as well as writing more than fifty scripts for radio and television, co-writing two films and writing five musicals, all of which have been produced. 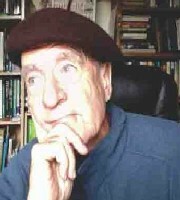 He has recorded a CD of his poetry for The Poetry Archive, England, www.poetryarchive.org. His musicals were premiered in a Sydney theatre he founded to augment and run Theatre Arts at Bankstown campus, UWS, where most of his formal teaching was done, along with writing many of his books as a ‘27 and halfer’, referring to his time on this campus. He also founded Creative Writing where he edited sixteen anthologies of his undergraduate student’s work, building up to a Masters of Arts degree in Creative Writing, which he coordinated for a decade. 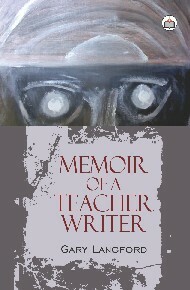 His most continuous fields as an English teacher writer are plays, poetry, fiction and teaching textbooks. Today, he is a writer and artist in Melbourne and Christchurch, which is reflected in the publishers of his last few books in fiction and poetry using his paintings as graphics, just as we do. This is his story.